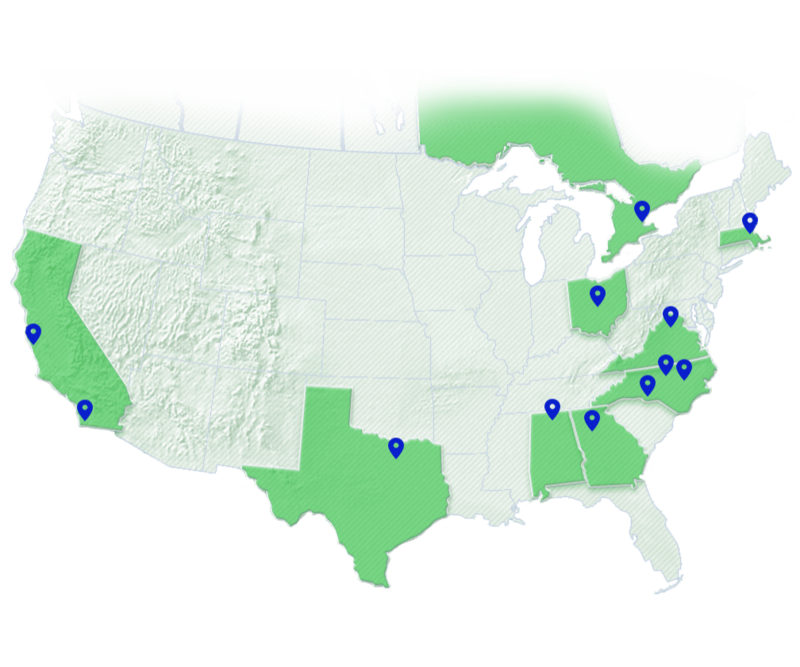 As one of the largest and fastest-growing technical services firms in the country, The Select Group proudly calls these prime locations throughout North America home. We work hard to place our consultants almost anywhere in the continental U.S. If you have a request or are looking for a career, give The Select Group a shot. Not seeing your city listed? Our National Delivery Team is dedicated to supporting hiring needs across the U.S. Our technically-trained staff of recruiters and account managers are ready to take your success to the next level. Our Toronto team is dedicated to building partnerships with companies across Canada and helping professionals find their next career path. The Select Group is headquartered in Raleigh, N.C. We’ve been a recruiting partner in the Raleigh-Durham Triangle area since 1999, growing key relationships with some of the area’s top employers.